If winter weather has you dreaming of breezy trade winds, warm, golden sunshine rising over the Pacific, and screeching beach roosters, a cup of Kauai Sunrise coffee is the only way to start your day. 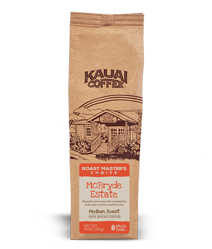 The toasted, nutty and exotic notes of Kauai Sunrise are warm and enticing enough to get even sleepiest snoozer to wake up and smell the coffee. 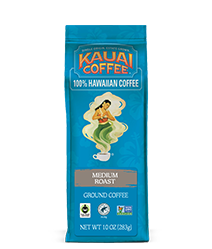 This blend of dark and medium roasted beans will kickstart your day with the perfect amount of caffeine and full-bodied flavor. 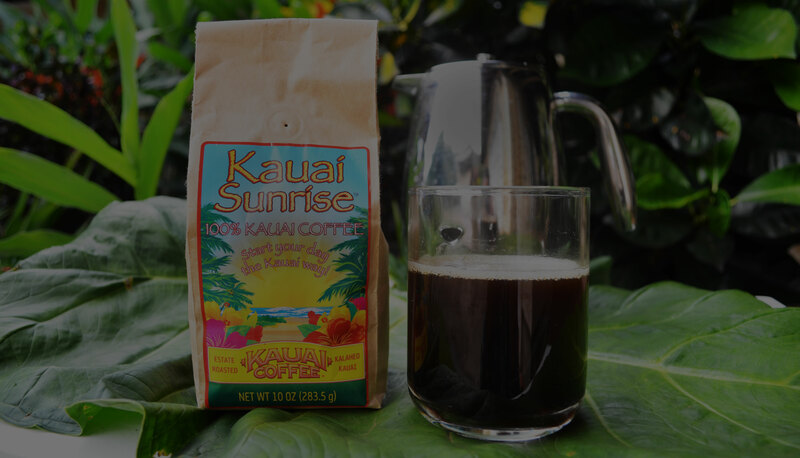 Brewing Kauai Sunrise in a French Press is our favorite way to enjoy this morning brew. 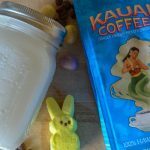 Follow these simple steps to get the perfect, full-flavored cup and start your day the Kauai way. While waiting for water to boil, warm the press by pouring a few ounces of hot water into the press and swirl it around. Let the water sit for 30 seconds and then discard. 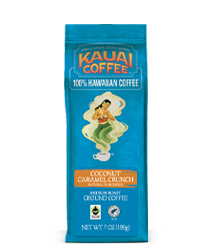 Grind 8 heaping tablespoons of whole bean Kauai Sunrise coffee into a coarse texture – similar to Kauai beach sand – not too fine, not too grainy. Pour the ground coffee into the press and wait for the water to finish boiling. 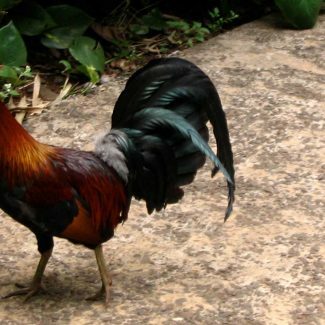 Once the water boils, take it off of the stove or turn off your electric kettle. 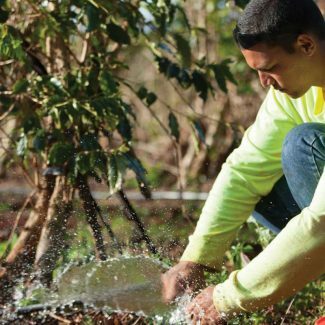 Allow the water to sit for 20-30 seconds to reach a temperature of about 200 degrees. Pour water in circular motion over the grounds until the liquid fills the press half way. Wait 30 seconds, then stir with a wooden spoon to ensure all of the coffee grounds are saturated. Immediately pour the rest of the water to almost the top of the press. Start timer for 4 minutes and place plunger on top, but do not plunge until the timer goes off. After 4 minutes, press the plunger down and serve coffee immediately. 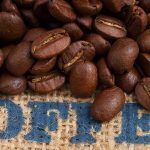 The plunger should move easily without too much resistance, and your coffee should be a deep brown color. 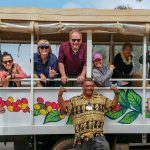 Kauai Sunrise is 100% Kauai Coffee locally-grown and roasted at our island estate. 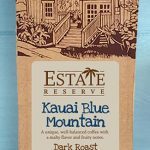 All Estate Reserve coffees are only available for purchase on our website or from our stores on Kauai. 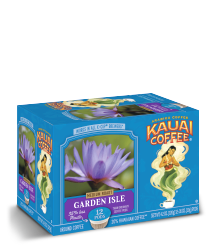 If you love the Kauai Coffee blends and flavors you can find in your local grocery store it’s time to try 100% Kauai Coffee Estate Reserve. 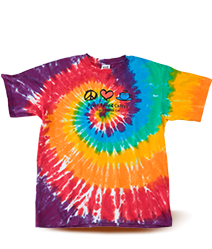 Need coffee mugs or makers? 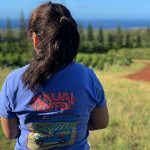 Shop here for Kauai Coffee gifts and apparel.